Our ultimate goal differs slightly from the why. We may write because we feel compelled to, but at the end of the day, we’d like to collect a paycheck for our efforts, to actually make a living from our writing the way doctors and lawyers and other professional people do. That’s easier said than done of course, especially in this economy. Employers in all fields are making do with fewer employees, so why would it be any different for publishers? So yes, the current situation is gloomy at best, but that doesn’t mean we should give up, quit writing just because our books may never be sold to Knoph Doubleday and get read by the masses. Regardless of whether you sell fifty copies of your book or fifty-thousand, the point is you are leaving a little part of yourself behind. Something that proves to the rest of the world you were here. I like to call it the immortality factor. Those of us who are parents have passed on proof of our physical existence, but unless our children become rich, famous, or both, we are merely a footnote to their actuality. If we have done our job as parents, our kids grow into productive adults with goals of their own. We can lay no claim to their accomplishments, we must produce our own success. My oldest daughter, Carrie, and her husband, Mike, recently took a trip to the South. With my being the life-long Elvis fan I am, they stopped at Graceland to see what all the hoopla is about. 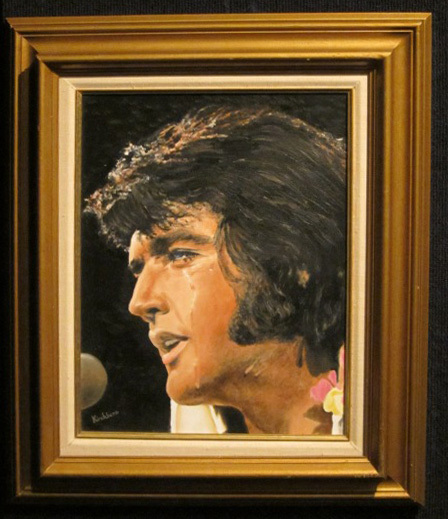 While there, Carrie texted me that one of my paintings of Elvis I had done years ago for an art contest in Memphis was hanging on display. (I could tell she was excited because she used an exclamation point in her text.) She later reported that Elvis Presley, Richard Nixon, and the American Dream was also among the books on display. A touch of immortality. A little piece of myself left behind. Something for my kids to feel proud of. Isn’t that really what our efforts are all about? 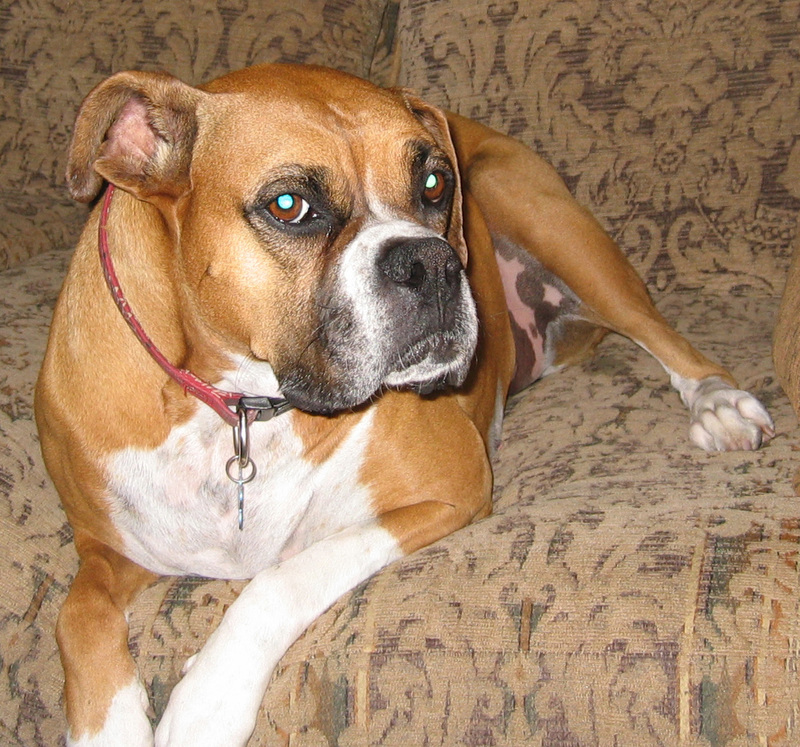 It’s been nearly three years since we lost the best dog we ever had, a lovely lab boxer mix named Annie. Annie was Katie’s dog; the two grew up together. When Katie moved out to begin her grown up life at USC in the fall of 2002, Annie and I became inseparable. We adopted each other as we adjusted to life without Katie. 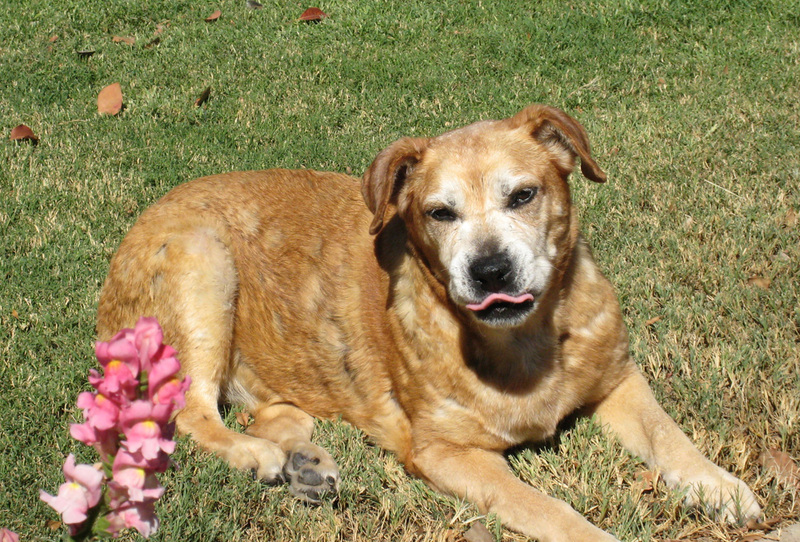 When my vet diagnosed Annie with bone cancer in August 2007, I was devastated. I stopped my life as it were to care for her 24-7. She lived a couple of months, and I don’t regret one minute of our last days together. When the time came that her life had deteriorated to such a point she couldn’t stay with me anymore (she could no longer keep food down), I made the dreaded call to Doctor Brewer, who came out later that day and helped Annie over the Rainbow Bridge. Some six months later, when I had our boxers in for their check-ups, Doctor Brewer noted I hadn’t filled Annie’s spot on the Kirchberg roster yet. I said I didn’t think I ever could. She gave me a hug and said, “You’ll know when it’s time.” We had similar exchanges over the next couple of years. Doctor Brewer was right, of course. About three months ago, I realized it was time and began my search for the potential new member, scouring websites of local and national shelters and rescue groups. I printed out dozens of possibilities, but the pup I wound up with was one I met face-to-face at one of Petsmart’s weekend adoptions. I had pretty much decided I was going to get a small dog. By small, I was thinking 15 to 20 pounds. I’m in my 50s now, and while I love our boxers more than words can say, I’m just not physically able to handle another dog that size. But dog people know when a match is right. 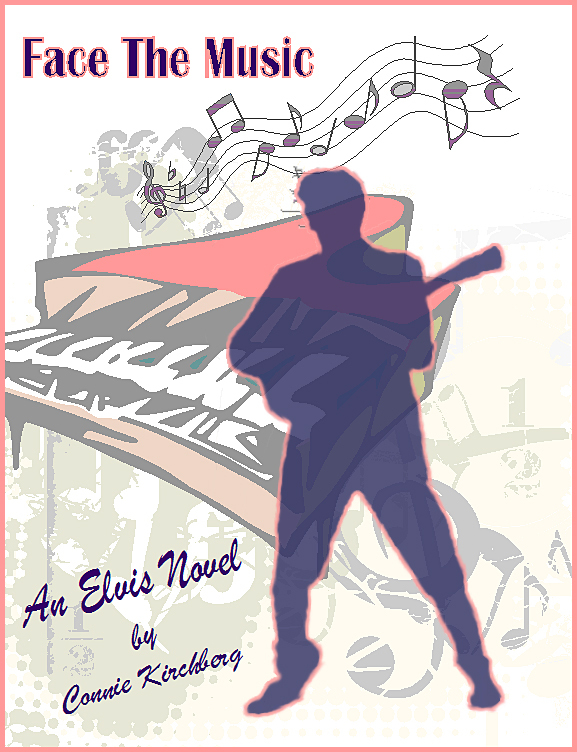 Such was the case for me and Elvis. The minute I saw this cute little basset hound dachshund mix, I knew he was the one. And that was before I learned his name was Elvis. He walked great on a lease, sat on command, and dished out numerous kisses. Still, at a year old and 35 pounds (what if he gets bigger still? ), he didn’t fit my criteria. I left without taking him home. 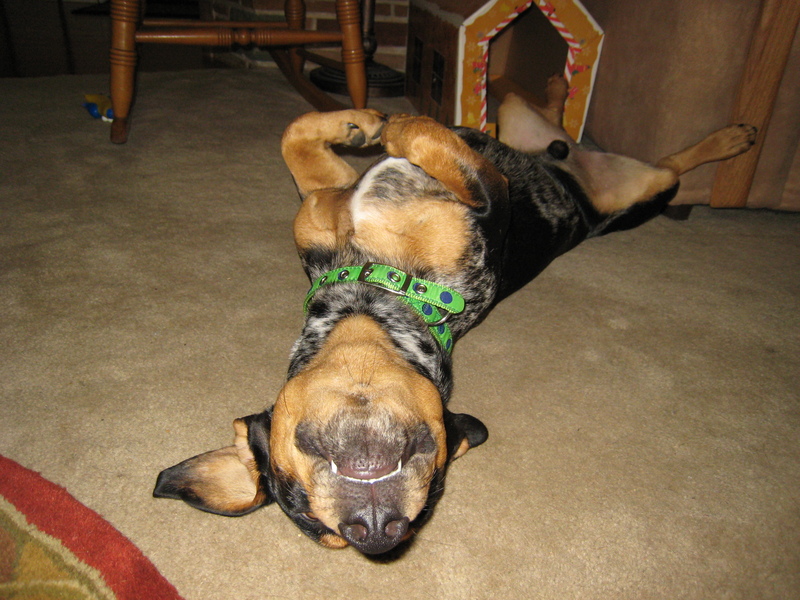 The next day I remarked to Julia that I’d come across a hound dog named Elvis, but that he was too big. She responded, “You didn’t adopt a dog named Elvis? Are you insane?” Another friend responded with a similar message, albeit a bit more subtle. (Katie, incidentally, just thought I was insane period. Another dog, Mom? Really?) Okay, so the writing was on the wall. I called the lady who runs the rescue (Barbara Henry, For The Sake of Dogs) a few days later and told her I wanted to adopt Elvis. We brought him home Saturday. I know Katie has my best interests at heart. She knows how important my writing is and sees another dog as another commitment. She’s right. But it’s a commitment I’m willing to make. Dogs always give back way more than they take. They are truly best friends for life. And there are so very many who have been abandoned at shelters or left to fend for themselves on the streets. So many who need homes. Someone to love and care for them. So I do what I can. In this case, it’s filling Annie’s spot. If I listen very closely, I can hear her barking her approval from over that Rainbow Bridge. Sweet dreams my dear, until we meet again.